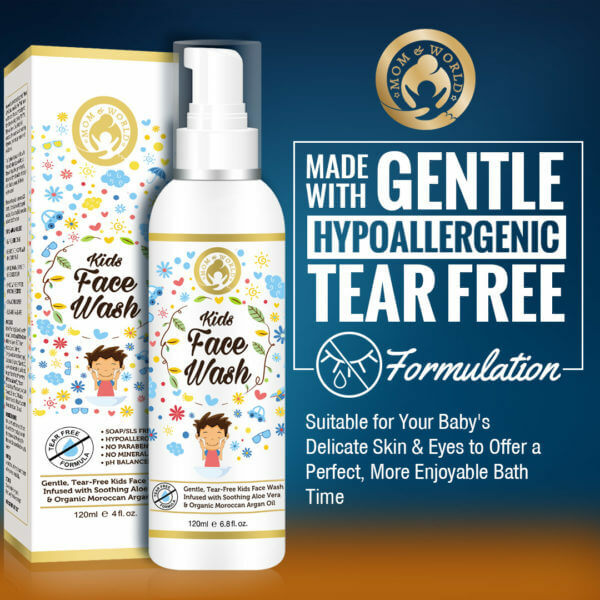 Mom & World Kids Face Wash is a gentle hypoallergenic tear-free product that is safe for the baby’s delicate skin and eyes and gives the most enjoyable bath experience. 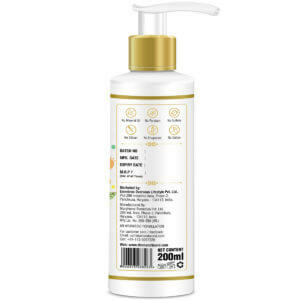 The tear-free Mom & World Kids Face Wash is a pH balanced, safe product and is gentle to the baby’s delicate skin. 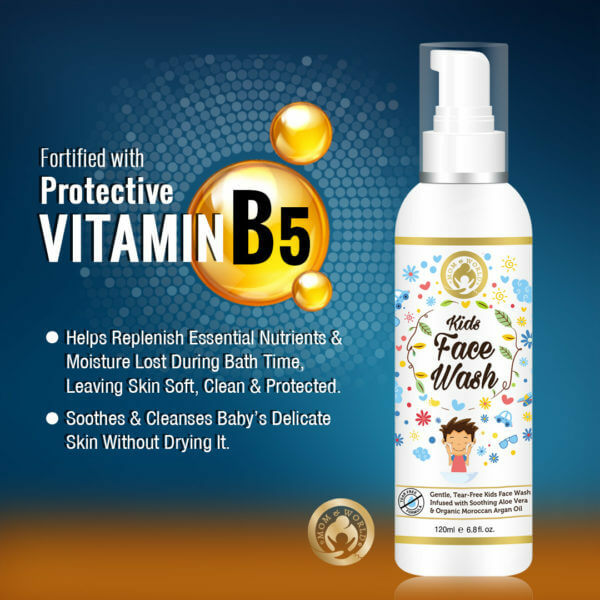 Fortified with Vitamin B5, oat extract and several skin-benefiting ingredients, it thoroughly cleanses the baby’s skin, without stripping off its natural oils to give a soft clean skin. 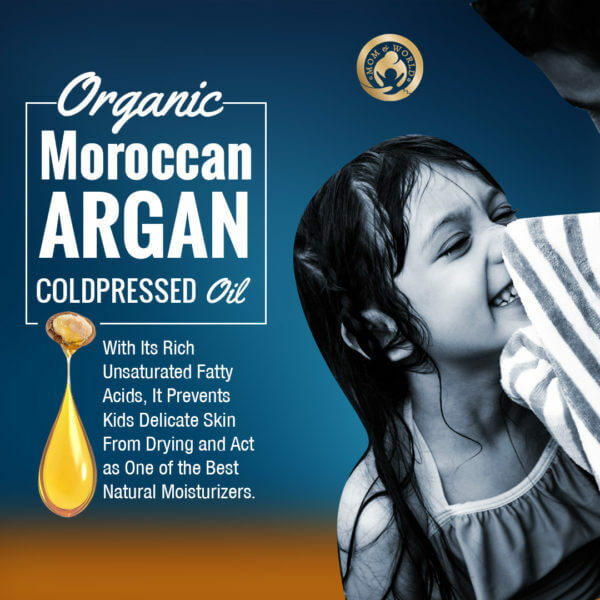 Combines with liquid Gold Moroccan Argan oil and Aloe Vera, This product is suitable for daily use. 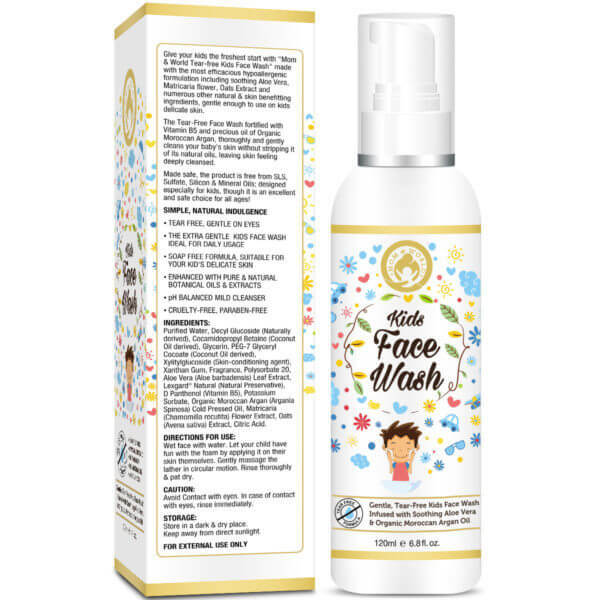 Blended with efficacious natural ingredients such as Organic Moroccan Argan Cold Pressed Oil, Aloe Vera Extract, Chamomile Flower Extract, Oat Extract and Vitamin B5, and being free from harmful Paraben, Mineral Oil, Soap/SLS, and Sulphate, this product is ideal for kids. Mom & World Kids Face Wash is a tear-free product that helps cleanse the baby’s delicate skin without drying it. 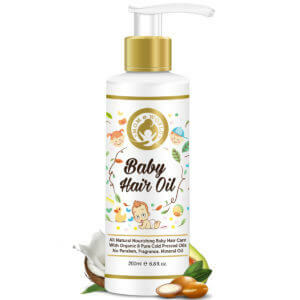 Enriched with pure botanical oils and extracts such as Organic Moroccan Argan Cold Pressed Oil, Aloe Vera Extract, Chamomile Flower Extract, Oat Extract, and Vitamin B5. 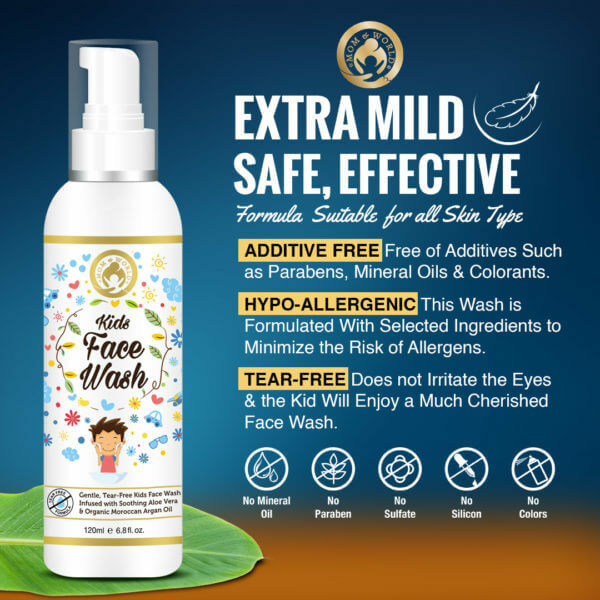 Special hypoallergenic and pH-neutral product with calming argan oil and soothing aloe vera helps gently hydrate and rinse the skin to give clean, soft and healthy moistened skin. 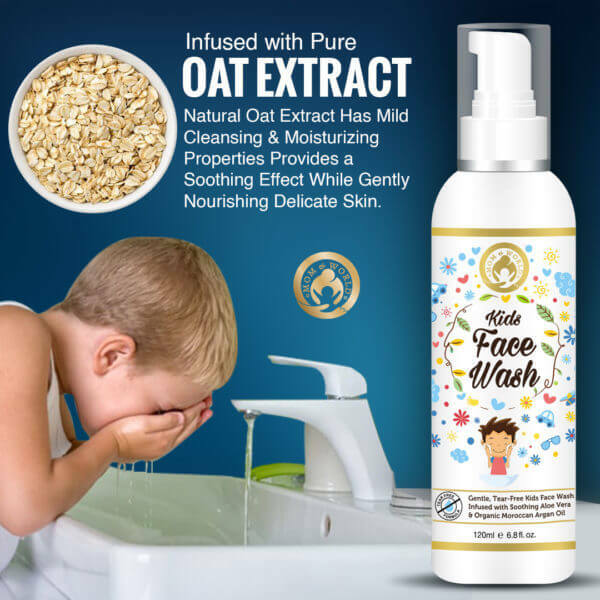 A tear-free and soap-free formula, gentle on kid’s skin. No Paraben, No SLS, No Mineral Oil & No sulphate. Oat extract is known for its soothing effect and is used in skin care and cosmetic preparations . NOTE: Avoid contact with eyes. In case of contact, rinse off immediately. WHY SHOULD I USE THE FACE WASH THAT CONTAINS BOTANICAL OILS AND BIOACTIVE INGREDIENTS? Most of the commercial face washes that are available in the market contain chemicals that can harm the baby’s delicate skin and eyes. They may strip the skin of its natural oils. 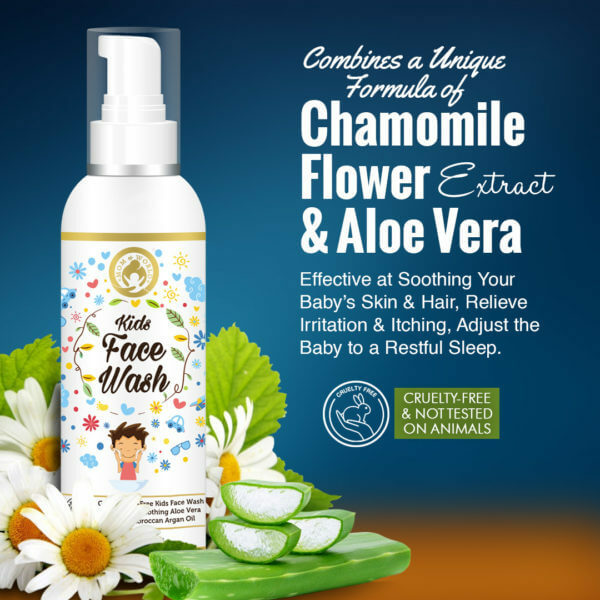 Aloe vera, argan oil and other botanical oils present in this face wash keep the baby’s skin soft and hydrated. Moreover, the natural oils are known to deeply cleanse and moisten the skin without drying it. The tear-free and pH neutral product is safe for the skin and the eyes. The bioactive plant extracts also help to enhance skin health. IS IT SAFE TO USE THIS FACE WASH? 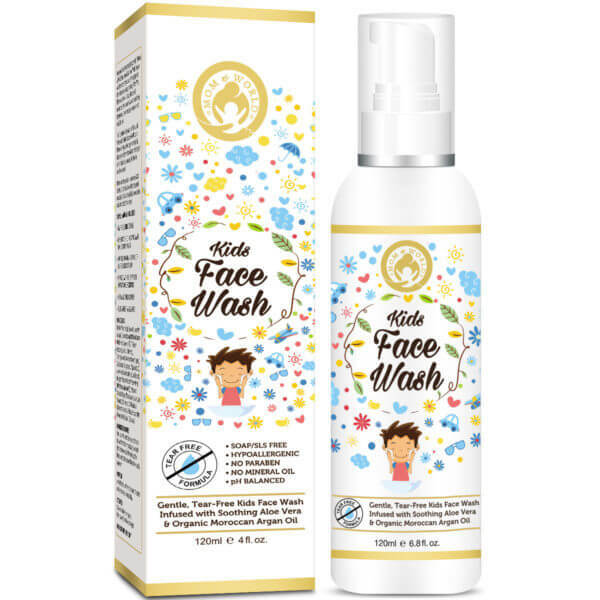 Mom & World Kids Face Wash is a scientifically tested product enriched with essential oils and botanical extracts. This extra-gentle face wash is free from harsh chemicals such as Parabens. SLS, Sulfate and Mineral oils and is safe for the kid’s delicate skin and eyes. Wet the baby’s face with water. Take some Mom & World Kids Face Wash and apply it gently on face to develop lather. Massage the lather on your baby’s delicate face in a circular motion. Rinse thoroughly and pat it dry. This is an excellent face wash for children. My daughter is using it. It cleans well and does not make her skin dry.